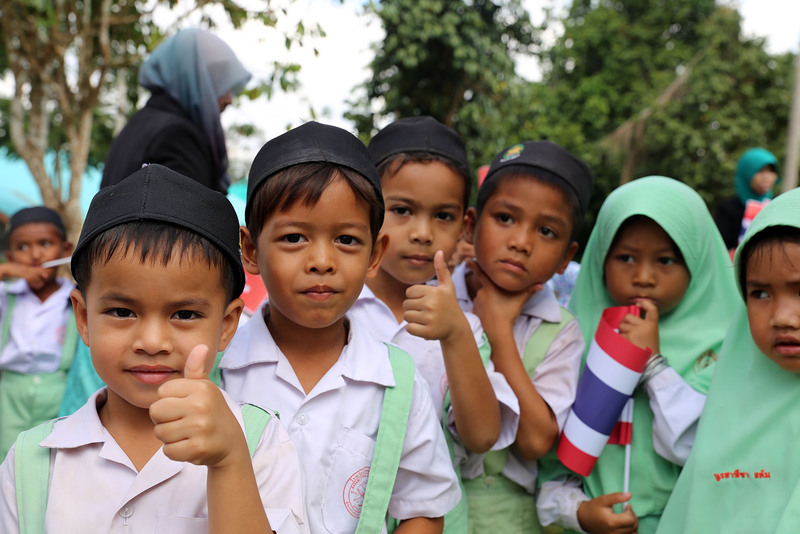 IHH Humanitarian Relief Foundation opened the Iskilipli Atif Hoca Orphanage in the Pattani region of Thailand. This was the 8th orphanage opened by IHH in the region. In addition to the humanitarian aid operations carried out all over the world, IHH Humanitarian Relief Foundation continues to be a ray of hope with the permanent work projects. As a part of this, IHH is constructing orphanages for children deprived of a healthy, reliable shelter in oppressed geographies. One of these is the Iskilipli Atif Hoca Orphanage opened with the joint efforts of Çorum IHH and Pendik IHH to provide shelter needs for orphans in the Pattani region of Thailand. Initially, shelter will be provided to 40 male orphans at the orphanage in Yala where the foundation for the building was laid 2 years ago. The capacity of the orphanage will later be increased to 50 orphans. The orphanage, which is being constructed as a two storey building and its large gardens provide a more comfortable environment for the students. Orphans will be taught in accordance with the Malay traditions of the Muslims in the region. The orphanage that boasts a usage area totaling 600m2 consists of 7 dormitories, administrative services room, a multi-purpose salon, kitchen, dining hall, terrace, toilet and bathroom sections. Additionally, last week IHH Humanitarian Relief Foundation opened the Martyr Ömer Halisdemir School constructed beside the Iskilipli Atif Hoca Orphanage where children from the orphanage will attend. In total, 240 children will benefit from the school that has 40 children in each class. IHH Humanitarian Relief Foundation has 32 orphanages in 12 countries that provide shelter to thousands of orphans. With the 4 new orphanages to be opened in the near future, this number will increase to 36.